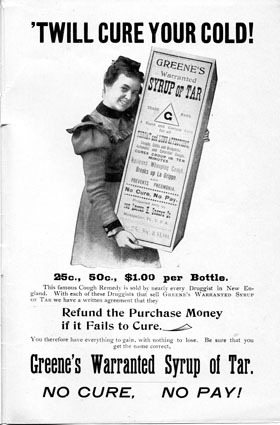 The Lester H. Greene Co., in Montpelier, Vt., manufactured and sold a cough syrup containing alcohol, chloroform and heroin. The company was fined in 1917. On Tuesday, Oct. 20 at UVM, historian and author Gary Shattuck presented “Opiate Use in Vermont: The Present Reflects the Past,” a talk about the use of opiates in Vermont in the 1800s, and how the state has battled similar addiction challenges throughout its history.